Discussion in 'Australian Lizards and Monitors' started by Ella C, Dec 14, 2018. Anyway, I'd love some inspiration for my setup. 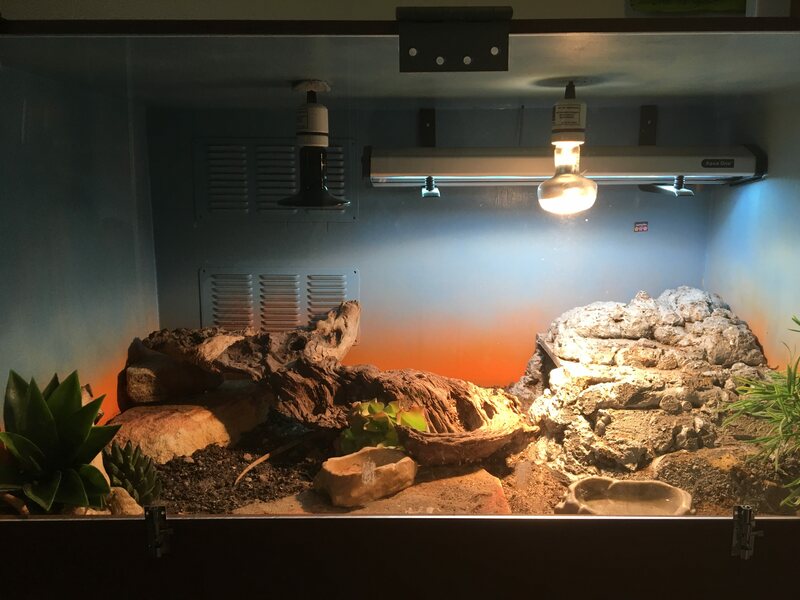 Post a pic of your beardie and his tank! DIY setup. 1050mm x 600mm x 600mm (3.5ft x 2ft x 2ft). Its kinda falling apart at the moment but I'll find time to patch it up soon. The substrate is a sand-soil mix, the cave on the right is a combination of wood box and expansion foam. Driftwood and rocks are locally sourced and there are some fake plants in there to. Lighting is provided by a 24" T8 UVB Tube and a 100W Basking bulb. There is a ceramic heater with a thermostat attached to control night-time temperatures but it isn't really necessary. This is my ~14 year old female dragon 'Crunch'. 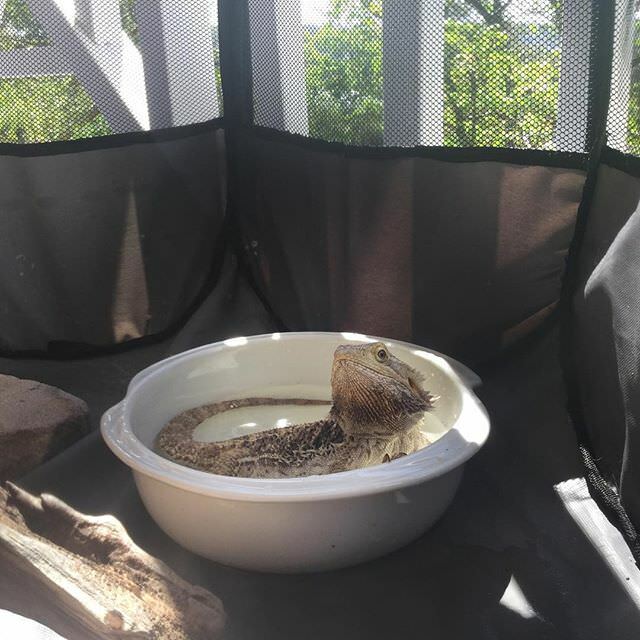 Here she is taking a bath in her outdoor pen. Wow, that tank is gorgeous! I love how natural it looks. Crunch is adorable too!